Let us know how you are doing, what all is going on in your neck of the world and anything else. As for me, winter down here has been the usual for South Florida. Brief periods of cool downs, followed by rainy hot weather. Basically just like the climate we get year round only a little stranger. El Nino has had some effect on the weather patterns here, but it seems that the jet stream is not following the typical El Nino pattern and has started to send down somewhat dry cold fronts. That should change unfortunately for the Super Bowl weekend because we are looking at about 100% chance of rain on Sunday. If someone wants to contact me outside of here, the only other place that I can be found is at www.wunderground.com in the blog section. Blogging name is PlywoodStateNative and I can be found either in: Dr. Master's blog, Weatherguy03's blog, or ryang's blog. Also there is a ton of information in all blogs there, so if you want to learn more about weather just drop in and have a read. 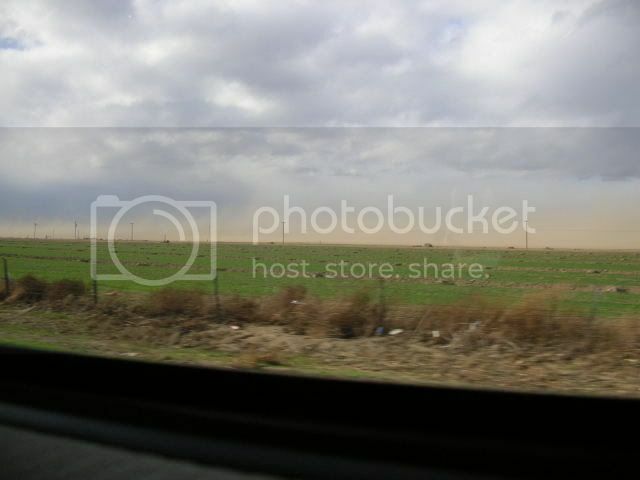 This very thin white funnel cloud in the distance was just to the west of hwy. 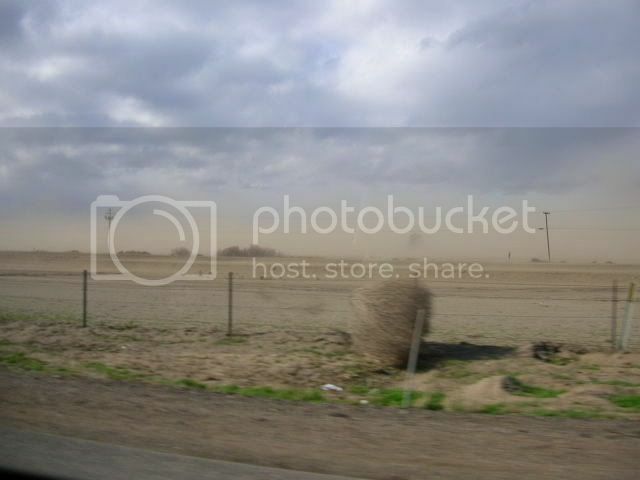 99 south of Bakersfield, CA.� The weather was very volatile that day.� I was driving pretty fast and my daughter took the photo, 1/27/08. Not sure if it's a twister or a "land spout" if there is such a thing. The weather here in the NE is very strange, as soon as snow appears, rain & sleet come to wash it into the rivers. We are once again under a flood watch! It is not that we have had so much water/snow/ice this year, it is the frozen ground causing runoff into the rivers. I fear that we will once again have drought for the farmers this summer as the deep wells have not filled up.